Has the Burden of Pain and Regret Become Too Difficult to Carry? Are You Unable to Find a Moment of Relief? Are You Struggling To Meet The High Expectations You’ve Set For Yourself? Are You Lonely and Frustrated in Your Romantic Life? The Problem is Your Personal Life Feels Like it’s Far from the Top You have achieved success on the outside… Now it’s time to work on your personal life…Therapy Can Help. If you are like many professionals, business owners, and executives, you find that the success you have found in your career doesn’t always match what is happening in your personal life. Maybe you have found that you’re not as happy as you thought you would be… Or, you’ve found that the price of success has been higher than you bargained for. Silicon Valley can be an awesome place to live and work… It can also be extremely stressful. The demands of the fast-paced and success-driven life in Silicon Valley, can rob you of the passion that you once had. You may be feeling burned out. Stressed, worried and unhappy. Maybe you snap at your spouse when asked a simple question…maybe your wondering if your marriage will even survive. It could be that you worry about your bottom line, mortgage, or kids’ college tuition… Perhaps, an unexpected crisis has pushed you over the edge. You wonder where all the joy went… Maybe you have even turned to drinking or drugs as a way to cope. Operating under too much stress and pressure can lead to depression, anxiety/panic attacks, relationship drama, and health problems. If this sounds like you, please know that counseling can help improve your life. You can feel better, even THRIVE, while meeting life’s challenges with ease. 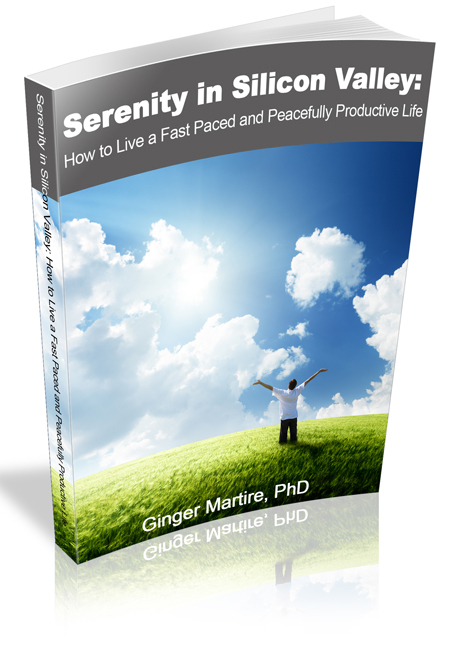 You can have Peaceful Productivity without losing your edge. You can have success that enhances your relationships, that helps you sleep better at night knowing all is right in your world…inside and outside of work. You can discover skills to help you handle life’s challenges, build solid relationships that nurture, move past hurts, and rekindle that fire within. You can feel like you once did, full of LIFE and PASSION. I am the kind of therapist that helps people JUST LIKE YOU. I help you cultivate intelligent and thoughtful solutions to the struggles you are experiencing. My clients tell me that I am compassionate, wise, and direct. They often tell me our work together has profoundly changed their lives. As we work together, I will be actively engaged, counseling you how to look at your life in unique ways, have compassion for yourself, and giving you the tools you need to quiet the stress within so that you can re-approach life with a calm productive focus. We will work to renew your relationship with yourself and your loved ones. I will help you set healthy boundaries that serve you and the people around you. I will work to help you move from simply surviving to thriving. Experience a lot less stress and anxiety. Have more frequent moments of true peace and happiness. Enjoy more connection with their loved ones. Handle crises and challenges with greater poise, acting rather than reacting. Feel a renewed zeal for work. Gain real life skills to address conflict with assertive compassion. No longer get bogged down in the details, but instead prioritize based on values. Feel hopeful and excited about life again. For more information on how I can help you, to schedule a no-charge 20 minute phone consultation, or to make an appointment, please call or text 408-213-8148 or email at DrGinger@GingerMartirePhD.com. Serving the Silicon Valley/South Bay Areas of Saratoga, Los Gatos, Cupertino, Monte Sereno, San Jose, and Campbell, California.